To understand how you may be able to fight your Ontario mischief charges, first you must understand what “mischief” is. To commit mischief you must WILFULLY, destroy or damage property, render property useless, dangerous, inoperative or ineffective, or obstruct, interrupt or interfere with the lawful use, enjoyment or operation of property. “Wilfully” in this definition means that you did the act of mischief knowing that the act would probably cause the destruction etc. of the property and being reckless whether the destruction etc. occurs or not. A possible defence would be that you did not intend to damage the property. What if it Was My Property? It can count as mischief even if you have a partial interest in the property you destroyed or damaged. An example would be if you trashed your matrimonial home.If you have a total interest in the property, it can still count as mischief if you destroyed or damaged your property with an intent to defraud. The offence of Mischief can cover a lot of acts. So this offence carries a wide range of punishments. On the low end of things, where the Crown proceeds by way of summary conviction (for less serious acts of mischief) the maximum penalties for this will be either six or eighteen months, depending on what kind of mischief took place. Where the Crown proceeds by indictment (for serious acts of mischief), the maximum sentences can range from two years to life imprisonment (25 years). The penalty can be affected not only by the kind of conduct (what you did), it can also be affected by what kind of property was involved (what you did it to). For example, there is a part of the law that deals specifically with mischief to religious property. 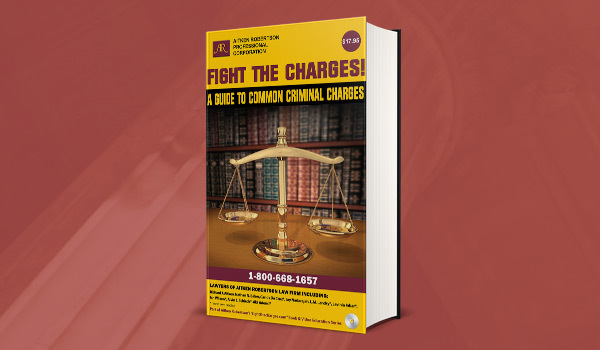 Fight Your Ontario mischief charges! Call our lawyers at 1-800-668-1657 or visit one of our offices to get a free 30-min consultation.